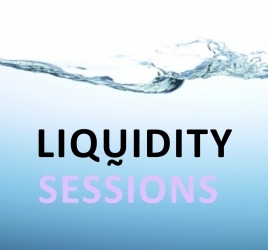 Liquidity ~ The Summit on New Finance is coming 1 June to London. The event takes a new approach to financial discourse through a series of intimate panel discussions on underlying forces reshaping our financial futures. Experts involved in these changes - from the top of the pyramid to the changemakers innovating to displace them, are invited to share their stories, and to work with us as we architect new paradigms. Digital Payments - Who will flourish in the world of digital exchange, and what are the scenarios for success? Regulation - as monetary diversification explodes, what are the regulatory implications of democratized finance? Alternatives - from contemporary art to carbon credits, What new forms of value are setting the agenda for 21st century finance? Venture Capital - Where is the smart money going now? Alt Finance - Are localized economies, credit unions, crowdfunding and more the wave of the future... or a tidal wave? P2P Money - What is it? Who runs it? How can you benefit from it? Reputation & Rewards - What happens when big data and monetary value become indistinguishable? Capital Funds - At the macro level - what's the 20 year outlook on big capital, and its affect on the nation-state system? Robin Saunders, Clearbrook Capital; Jeremy Coller, Coller Capital; Harry Briggs, Balderton; Josh Wyatt, Patron Capital; Jason Mitchell, GLG Partners; Pat Carroll, Validsoft, Peter van de Auwera, SWIFT, Josh Bell, Dawn Capital; Lulit Solomon, Epiqdata, the author Jordan Macleod of the New Currency Institute, Josh Ryan-Collins of the New Economics Foundation and Brixton Pound, and more to be announced. Get tickets. Join the conversation on Facebook.